With over 30 years of franchise business and legal expertise, Mr. Rummel brings a unique perspective to the iFranchise Group. Mr. Rummel spent more than 20 years at McDonald’s where, as their Vice President/Associate General Counsel, he was a member of “Team U.S.A.,” McDonald’s top management group in the U.S. Beyond his primary responsibility of advising senior management on legal and business issues, he served as a management representative to the National Operator’s Advisory Board (NOAB), representing all McDonald’s domestic franchisees. While at McDonald’s, Mr. Rummel also served as chief counsel to its Operations Group. In this capacity, he was exposed to every strategic and management challenge facing a franchise company. He participated in the development of two startup businesses, Hearth Express, a sit down, comfort food restaurant, and Leaps and Bounds, an indoor playground concept. Mr. Rummel was management’s designee to many industry associations and strategy groups. In addition, he was also selected as principal relationship partner with the prestigious National Association of Attorneys General. He has served as an expert witness and has had firsthand experience in change facilitation. His excellent relationships with other corporate executives and with inside and outside counsel have earned him a national reputation in the franchise business and legal community. Mr. Rummel has had extensive experience in the implementation of client franchise programs, and counsels our clients on defensive record keeping techniques. He also has a depth of experience in the day to day management of trademarks. An experienced executive in the purchasing of insurance, he will help our clients significantly reduce their premiums while maintaining a high level of coverage. His functions will also include franchise compliance training and franchise relations, and he will consult with senior franchise management on personal best practices, helping them maximize their productivity while balancing their personal needs. 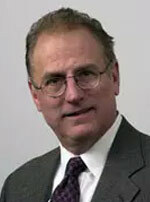 Mr. Rummel received his Bachelor’s Degree from Northwestern University and his J.D. from the University of Illinois College of Law.